Wile I’ve done my best to give Trump a shot and not jump to conclusions simply because I see far more eye to eye with the Democratic Party than the Republican Party, one thing that’s really irked me is this constant bragging over the “suddenly” great economy. The truth is we’ve had pretty much the same jobs report every month since 2010. 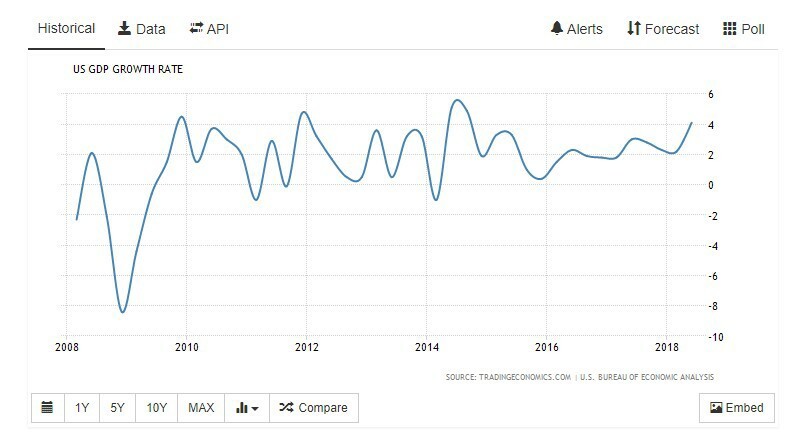 Every month for the last 7 or so years the Bureau of Labor statistics has posted jobs reports showing an increase between 100K and 200K jobs during the prior month. 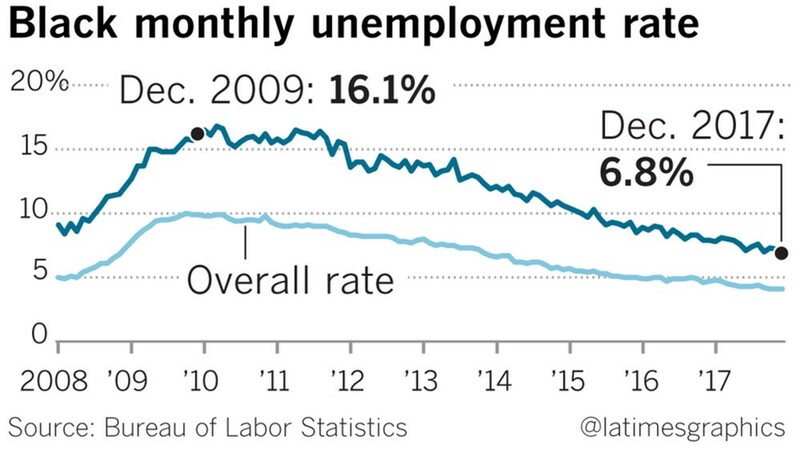 Of course, the recession had bottomed out in 2010, so the unemployment rate was still relatively high in 2011. But since then, jobs have been created and the unemployment rate has steadily dropped. Trump supporters are acting as if the new “low unemployment” (including Black and Hispanic unemployment) simply dropped overnight. In reality, Donald Trump simply inherited the economy Barack Obama left behind. 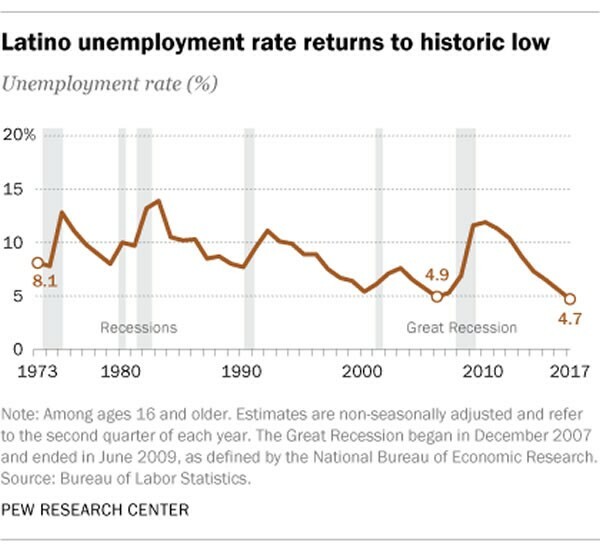 We keep hearing how Black and Hispanic unemployment rates are at new lows, as if the drop began under Trump. 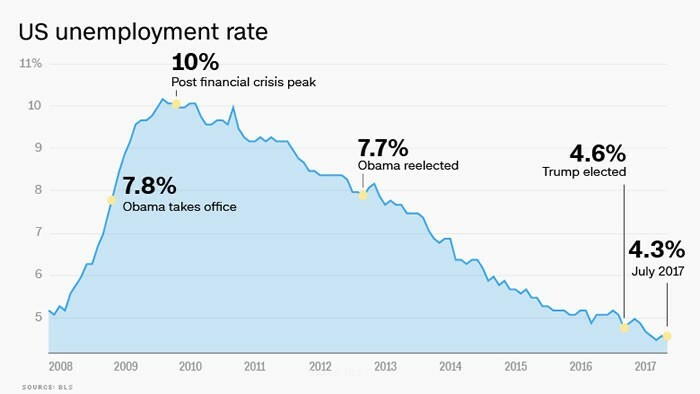 Just as Republicans were lambasting Obama over the hollowed out economy he inherited in 2009, they are now crediting Trump for the recovered economy he inherited. They are now ignoring the nagging realities of discouraged workers and the long term unemployed (which they were using to downplay the Obama recovery). Republicans are also taking credit for the increase in real wages. Never mind that this trend began in mid-late 2016, when Obama was President and it seemed inevitable that Hillary Clinton would be the next President (meaning, no “confidence Fairy” excuses about people simply believing that Trump was going to be the next President, and the economy reacting accordingly). While I don’t have time to absorb content from every political news outlet/website, blog or YouTube channel, I haven’t noticed anywhere near the same economic pessimism from the left as I saw from the right when Obama was President. The left doesn’t seem as obsessed with finding the one cloud in the sky as the right was during the Obama Presidency. That’s not to say that the left is blameless. Many popular left wing pundits engage in vitriolic character assassination where they misrepresent and sometimes even fabricate the positions of their “victims.” I’ll be writing about that soon enough. Likewise, we keep hearing about Trump’s “record GDP growth.” There’s just one problem: it’s not true.